All of the music stored on my computers and NAS is mastered in two channels. While for years now it’s been easy to find home-theater receivers and preamplifier-processors with integrated digital-to-analog converters, it hasn’t been so easy to find one in a stereo-only receiver or integrated amp. I was intrigued to see that NAD has filled this gap, and even more intrigued when I saw how they’ve done it. NAD occupies an interesting position in the audio industry: neither a boutique nor a mass-market company, NAD is deeply into home theater while also offering a full line of two-channel products. Founded in Britain in 1972, in the midst of the hi-fi stereo revolution, NAD has grown from its famous 3020 integrated amplifier to offer, in its current product line, 12 hi-fi amplifiers, along with source components, loudspeakers, and home-theater gear. 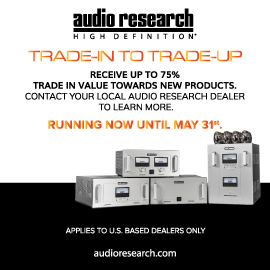 On the website of one popular audio retailer, the NAD models offered range in price from $160 to $6000 USD. I was sent for review an integrated amp from the middle of the pack. The C 375DAC is a substantial piece of equipment that weighs 33.7 pounds -- almost 80% more than my A/V receiver. As expected, it feels very solid; peeking through the copious air vents, I saw a huge Holmgren toroidal power transformer held in place at its base with a large bolt. The C 375DAC is smoothly finished in NAD’s trademark dark gray; when purchased from an authorized dealer, it comes with a two-year, nontransferable warranty on parts and labor. 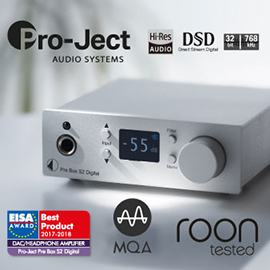 The C 375DAC’s full complement of connectivity comprises five line-level inputs, two tape loops, a TosLink optical input, a USB 2.0 type B connector, and, on the front, a 3.5mm minijack for media players. On the output side are two pairs of stereo preamp outs (one jumpered to the main inputs), a headphone jack, and binding posts for A and B pairs of speakers. The headphone output is connected to the power amp’s signal chain; this means that the jumpers to the main ins must be connected to listen through headphones. The C 375DAC has two features I haven’t often encountered. The binding posts have plastic insulation that prevented me from attaching speaker cables with spade terminations. Fortunately, my biwired speaker cables, built as they are for the tightly packed rear panels of home-theater receivers, have banana terminations. Right next to the RCA jacks of the second pair of preamp outputs is an attenuation knob that lets the user drop the level below the setting of the main volume knob. I connected this preamp output to my Wharfedale PowerCube subwoofer. It can also be used with a second amplifier, for biamping, or to feed a headphone amp. The C 375DAC is shipped with its tape-monitor outputs covered with removable caps. A pet peeve of mine has been amps and AVRs whose designers have assumed that you’ll be using a remote control, and so include only one or two source buttons, which you need to press repeatedly to find the source that’s playing the music. But those of us who still load spinning discs, whether black or silver, may want to select the source while standing at the audio rack. In this regard, NAD has done the ergonomics right: On the front panel are knobs for Volume, Treble, Bass, and Balance; buttons for Tone Defeat, speakers A and B; and one button for each analog source. There is no LCD display. Instead, the C 375DAC has a series of not-too-distracting blue LEDs. NAD claims that the C 375DAC outputs 150Wpc. According to their press release, the “power ratings use NAD’s ultra-conservative full-disclosure power. 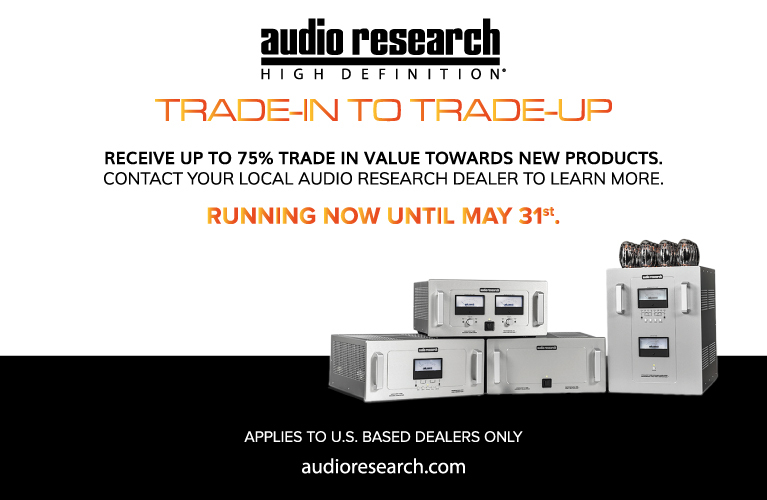 NAD rates its receivers with a difficult 4-ohm load, with both channels driven simultaneously, over the full frequency bandwidth (20Hz to 20kHz), and at rated distortion.” Compare this to the less demanding mass-market standard of measuring output only at 1kHz at 8 ohms. The total harmonic distortion (THD) specs are quite low: 0.004% for the preamp section, 0.009% for the power amp section. The voltage gains are 10 and 29dB, respectively. NAD says that the C 375DAC’s PowerDrive circuit “delivers very high dynamic power and low-impedance drive capability to accurately control loudspeakers, resulting in a musically detailed, coherent, and relaxed sound.” A rear-panel switch activates Bridge Mode, which turns the C 375DAC into a beast of a monoblock that puts out 330W into 8 ohms. I left it in stereo mode, with Bridge Mode off. Integration features include a 12V trigger output for switching on and off external components, wired rear-panel infrared input/output for controlling additional components, and RS-232. There is no IP control. NAD’s Modular Design Construction puts the input circuitry on swappable plug-in cards, sort of like a computer’s PCIe expansion cards. The C 375DAC has two MDC slots; available MDC options for this model are a DAC and a moving-magnet/moving-coil phono stage. My review sample was outfitted with an MDC DAC, which supersedes the Disc input. Available inputs on the MDC DAC are optical and asynchronous USB. There are no coaxial or AES inputs. Looking around my digital audio sources, I found that five have both optical and coaxial outputs, five have optical only, and only two have only coaxial. The more recent purchases seem to lack coaxial. Nonetheless, I would have liked to see a coaxial input on the C 375DAC. While both optical and USB can be connected simultaneously, changing between them requires sliding a switch on the rear panel. NAD would do well to add this function to the remote control. When I asked if this might be added to a future upgrade, Greg Stidsen, director of technology and product planning, said no: “Since we have limited space in this MDC architecture, it is not possible to add automated switching. We think most people will either connect their computer via USB or a music streamer (Squeezebox/Sonos) via optical S/PDIF and not switch between them.” Perhaps he knows his market well, but that’s not typically how I use my system, even when I’m not reviewing a component. Finally, the C 375DAC’s infrared remote control can be used to adjust the volume and select the source component. The rest of the full-size remote’s real estate is occupied by controls for an NAD DVD/Blu-ray player. Unfortunately, it can be configured to work only with NAD sources -- no universal or learning features are available. The database for Logitech’s Harmony remote includes an entry for the C 375BEE; the Harmony may be a better way to go if you’re using the C 375DAC with non-NAD gear. The C 375DAC’s top panel got a bit hot -- give it plenty of room for ventilation. It never shut down, but it was certainly warm to the touch, which I noticed when I reached over it to switch its DAC section from optical to USB input. My A/V rack is fully open; I’d hesitate to put the C 375DAC in a closed cabinet. Listening to the C 375DAC, the first thing I noticed was how much tighter my system sounded across various volume levels. Clearly, my Onkyo TX-SR500 A/V receiver was the weakest link in my system -- the C 375DAC was simply a stricter taskmaster in taming my Wharfedale Diamond 8.2s. The outputs of those speakers’ 1” (25mm) silk-dome tweeters and 6.5” (165mm) Kevlar midrange-woofers became more coordinated and exacting in their performance, rather than merely muddling through. The result was most obvious in improved bass performance from a pair of speakers I didn’t think had it in them. 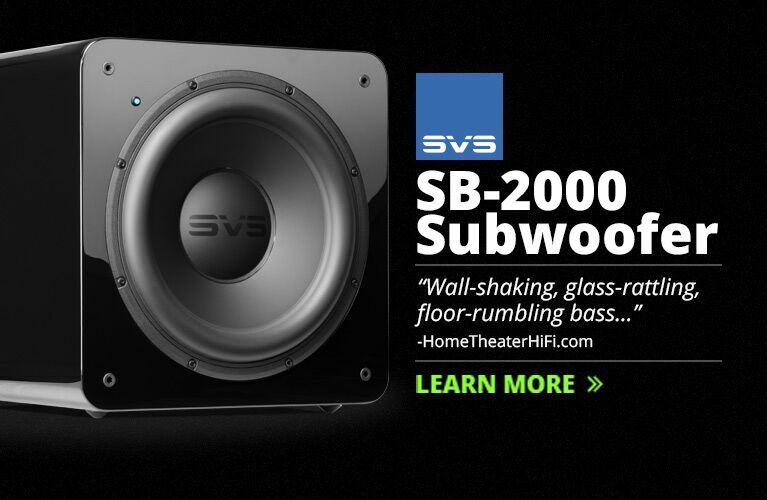 Even more low bass can be gotten from a recording by connecting the NAD’s second set of preamp outputs to an active subwoofer. 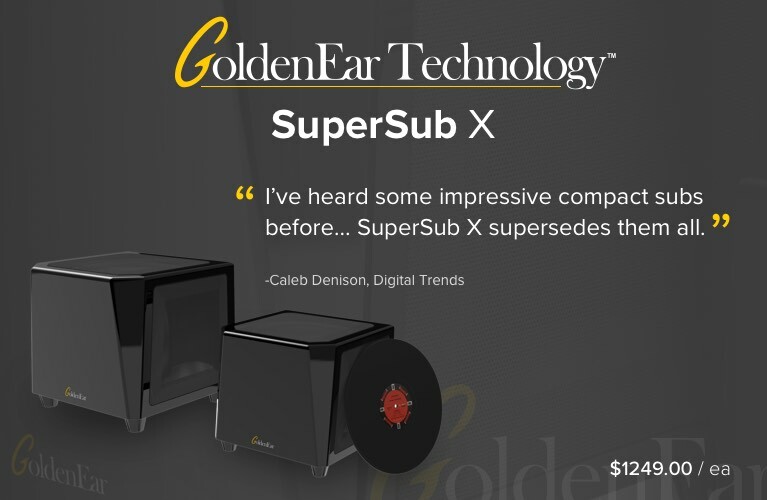 Since in this configuration the C 375DAC will send the full signal to the subwoofer -- the NAD doesn’t know what has been connected -- the crossover frequency needs to be set at the sub. Fortunately, my Wharfedale PowerCube’s cutoff frequency can be adjusted through a range of 70-170Hz; I set it at 100Hz. As my AVR has very limited crossover choices, and handles bass management in the digital (PCM) domain, I’d been out of the habit of using my sub with music -- but with the NAD, it made a very nice addition. As I listened to Riccardo Chailly and the Royal Concertgebouw Orchestra’s recording of Shostakovich’s Suites for Jazz Orchestra (CD, London D 101317), I heard no digital harshness from this older recording. The fast-paced Foxtrot -- a dance, after all -- of Suite No.1 had never sounded particularly engaging through my system, even with its rapid, simultaneous shifts in dynamics and rhythm across the image of a full orchestra; my speakers had always sounded a bit laggy and lazy. Not so when driven by the C 375DAC. Everything was tight, crisp, and lively, which made for a very fun sound. Likewise, Iván Fischer’s recording, with the Budapest Festival Orchestra, of Rachmaninoff’s Symphony No.2 (SACD, Channel Classics CCS SA 21604), was rendered with a broad, deep, open soundstage. The first movement begins with the warm, rich textures of the strings communicating a mournful melodic line. The NAD reproduced the lively Scherzo of the second movement with precision; the crystalline highs of the strings and glockenspiel had no hint of digital harshness. Dynamic and rhythmic changes were executed tightly at speed. The movement concludes with a brass chorale reminiscent of Berlioz, including a quotation of Dies Irae, with a recapitulation on the earlier motif layered over this cadence. The NAD handled large-scale orchestral works very well, providing well-managed bass dynamics and extension, tight rhythmic patterns, and detailed imaging -- the best I’ve heard from my Wharfedales. The disc is filled out with Rachmaninoff’s Vocalise, which the C 375DAC reproduced with luscious string textures. The patterns of call and response among the orchestral sections were manifested with excellent imaging, and delicate ornamentation cut through the mix. About a minute into the CD-layer version of “Bell Bottom Blues,” from Derek and the Dominos’ Layla and Other Assorted Love Songs (SACD/CD, Polydor B0003640-36), the centered drum-kit line in the chorus had more texture. This line had never drawn my attention before, but now I could distinguish among the different drums in the kit as they were struck. Overall, the album was reproduced in a more involving manner, with driving rock beats and layered ballads. “Nobody Knows You When You’re Down and Out” had an exceedingly deep and wide soundstage, with dimensionality that came incredibly close to this SACD’s multichannel tracks. And “Layla” itself was presented as a compellingly complex layering of instrumental voices. As I listened to many different selections, I heard nothing wrong with the sound -- and I was listening for it. The C 375DAC fully met my expectations. 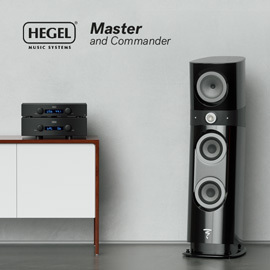 My only criticisms -- in this class of component -- are minor, and not about the character or quality of the NAD’s sound. There was too much power with a 2V source (such as my CD player); the increments of volume available with the NAD’s remote control weren’t fine enough for me to dial in the perfect level. (The NAD’s front-panel volume knob worked in smaller increments.) With sources that delivered lower voltages (including digital sources), this was not a problem. It seems the NAD is optimized for lower-voltage sources -- a bit surprising, considering that NAD’s disc players also output a 2V signal. Perhaps it was the right choice; all my other sources were in a manageable range, including my Samsung Galaxy player, when I plugged it into the 3.5mm input on the NAD’s front panel. As the C 375DAC costs $100 more than the C 375BEE, and the only difference is the former’s built-in DAC, that DAC should receive special consideration. The DAC module is installed in an MDC slot at the back of the amp, above the line-level inputs. It uses a Burr-Brown TI PCM1796 chip, which supports up to 24/96 via asynchronous USB 2.0, and 24/192 using the single optical S/PDIF input. This is an excellent DAC for $100. I connected my Music Hall MMF CD-25 CD player via both analog and optical cables to the C 375DAC, listened to the same recordings through both DACs, and found the sounds almost identical. The NAD DAC was slightly less bright on the snare-drum strokes in “One Sweet Love,” from Sara Bareilles’s Little Voice (CD, Epic 82796948212). I heard no difference with symphonic works such as Sibelius’s Kullervo, with Sir Colin Davis leading the London Symphony Orchestra (CD, LSO Live LSO0574). Both DACs exhibited the same bass control and soundstage. So if you have a “budget audiophile” CD player from a few years ago, the NAD’s DAC won’t be worthwhile. But, of course, the Music Hall won’t play high-resolution FLAC files. In comparisons with a computer’s or mass-market player’s built-in DAC . . . well, there was no comparison. Listening to a CD through my Pioneer DV-563A DVD/SACD player’s built-in DAC sounded awful after I’d heard that same player offload that conversion to the NAD’s DAC. Across a variety of recordings of different levels of sound quality, the difference was always there. Music sent to the NAD via analog signals was just a shadow of itself, lacking detail in both imaging and instrumental timbres. But the music came alive through the NAD DAC, and it was the better recordings that improved the most. With the bits decoded by the NAD, Jacques Loussier’s piano became crisp and clean in his trio’s The Brandenburgs (CD, Telarc CD-83644); the bass was no longer an amorphous blob. Switching to the NAD widened the soundstage -- no longer was everyone sitting in the same chair -- and, most strikingly, allowed some of the delicate percussion in Concerto No.5 (e.g., brushstrokes on cymbals) to emerge. Similarly, the DAC in my Roku XDS is unlistenable, but the same material was more palatable through the NAD DAC. If your digital player is a mass-market model or you’re using the HD audio chip integrated on your motherboard, the NAD DAC module should prove a sonically compelling upgrade. Over the past few years, the SoundStage! Network has paid close attention to the increasing availability of high-resolution downloads from audiophile record labels. The C 375DAC, being a USB DAC, lets one easily play those downloads from a computer in resolutions up to 24/96. I don’t have a Mac, but I tested the USB DAC with Windows XP Professional (32-bit), Windows 7 Professional (64-bit), a preview version of Windows 8 (64-bit, to be released in late October), and Ubuntu 12.04 LTS (64-bit). The installation was easiest in Linux -- there was no installation. The system recognized it immediately at boot-up, and provided the driver, which I was able to address from both the ALSA and MPD stacks. NAD provides proprietary drivers to work with Windows. With Windows XP, the installation process required continuing past two serious-looking warnings that the NAD device had not passed compatibility testing. I ignored the warnings and experienced no ill effects. (As I recall, my E-MU USB DAC triggered the same warning from XP.) foobar2000 was able to work with the NAD with either Kernel Streaming (KS) or ASIO, in addition to DirectSound, in XP. Windows 7 and 8 permit use of a WASAPI driver. Not surprisingly, as Windows 8 has yet to be officially released, the driver-installation software reported itself incompatible with that OS. I installed the drivers in Windows 7 Compatibility Mode with no difficulty. Windows 8 was then able to use the drivers supplied by NAD. I expect NAD will address the installation process after the launch of Windows 8. I was able to compare the C 375DAC with two other DACs: the on-motherboard Realtek HD and the E-MU 0404 USB. The Realtek sounded so noisy, muffled, and constrained that it’s not worth discussing -- it’s usable as a digital output and nothing more. The E-MU 0404 USB is a combination ADC/DAC designed for the home recording studio; it sold for $200 when I bought it in 2009, and I’ve been pleased with its sound as a playback device. However, the E-MU sounded lifeless and constrained compared to the C 375DAC, particularly with modern 24/96 recordings. 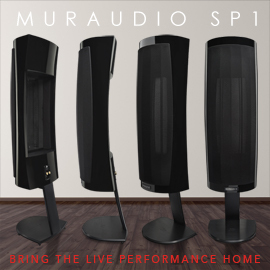 (The E-MU supports two more sampling rates, 176.4 and 192kHz, but given the limited number of recordings in those resolutions, that support is inconsequential.) The NAD provided strikingly more detail in the instrumental tonalities in the title track of Karen Tanaka’s Crystalline (24/96 FLAC, 2L/2L); the E-MU’s reproduction was amorphous, and a pale imitation. The Purgatorio of Mahler’s Symphony No.10 (24/96 FLAC, Chandos/eClassical) features delicate muted strings and flutes, and an ethereal harp that enters toward the end of the movement, along with beautifully rounded bell tones in the brass -- none of which sounded as exquisite through the E-MU. The NAD provided a considerably greater and more nicely blended depth of sound, with superb front-to-back imaging -- a dimensionality utterly absent through the E-MU. Installing the proprietary NAD driver is essential with Windows. Without it, and using the generic USB audio Class 1 driver, both selections had scary pops and crackles, like those you might hear when playing a badly worn LP. The necessity of using NAD’s drivers does mean that NAD will need to provide ongoing support; integrated amplifiers aren’t as ephemeral as the typical computer peripheral. At its founding, NAD stated its commitment to three values that, they said, the audio industry had lost sight of: performance, value, and simplicity. Forty years later, the C 375DAC is evidence of their continued commitment to these values. 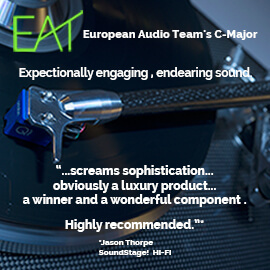 I was continually impressed by the C 375DAC’s sound, and by its ability to deliver tremendous power when needed, without sacrificing delicacy or accuracy. Across a variety of musical selections, the NAD provided clarity, bass extension, and exceptionally speedy response to dynamic changes. The NAD combines a preamp, power amp, USB DAC, and headphone amp into a reasonably priced package. 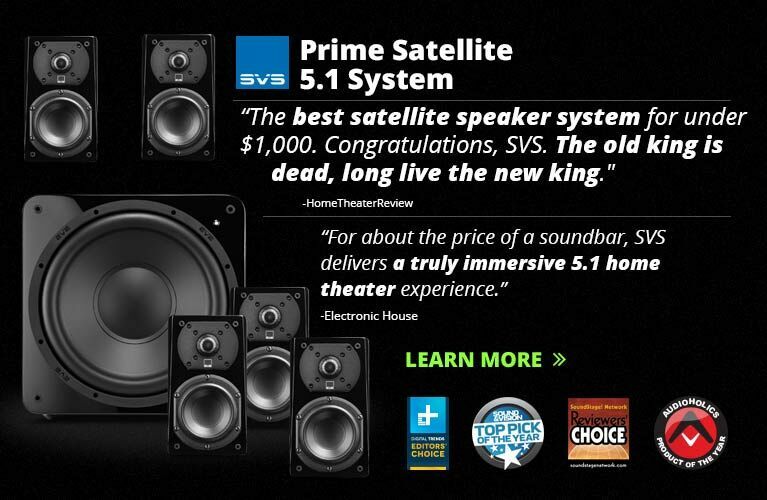 In fact, it would be easy -- even without going to Ultra Audio levels -- to spend $1599 on any one of those four component categories. Furthermore, the USB DAC -- in some ways an afterthought, as the original MDC module was a phono stage -- doesn’t let down the rest of the amp. Finally, it’s simple to use. I’ve spent more time with home-theater equipment than with audio-only gear, and was pleasantly surprised at how quickly I was up and running with the C 375DAC. None of this would matter if the sound were subpar, but I found it involving, detailed, musical, and versatile. The C 375DAC breathed new life into my speakers, headphones, and recordings. The DAC is a welcome addition that will allow many to forgo the expense of a standalone DAC. As the audio industry seems to be moving toward computer-based playback of hi-rez audio, the NAD C 375DAC should find a place in many listeners’ audio racks.